RISMEDIA, Tuesday, October 27, 2015— The fall season brings with it memorable events and tasty treats. Freshly harvested local apples, pumpkin treats galore and Halloween festivities are just a few. 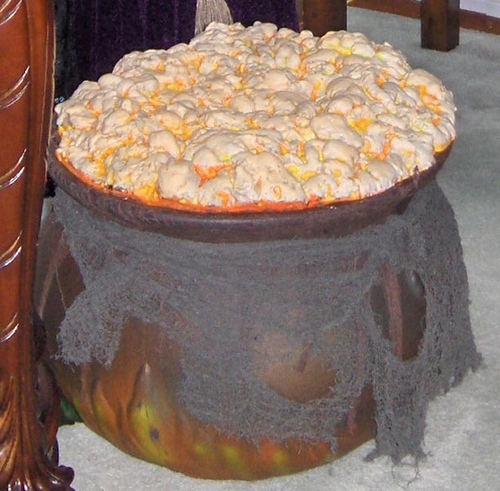 Getting creative with your Halloween parties and local trick or treat night means coming up with ingenious creations. While Pinterest may provide inspiration for a few clever decorations made out of foam insulation, there’s a better use for it around the home. Your home may need an insulation boost before the winter blast heads your way. As cold weather arrives on the scene, your home is at risk for comfort problems if it doesn’t have enough insulation in the walls, attic and floors. Does Your Insulation Get a Failing Grade? If your home has insulation in the walls, you may be wondering why it doesn’t get the job done. Insulation products that builders have used for decades that used to be the star of the show have shown some downsides over time. For instance, loose-fill fiberglass insulation can settle over time, greatly reducing its efficiency, while fiberglass batts or rolls must be meticulously installed in order to perform effectively. Some insulation materials, like rigid panels, are known to emit toxic fumes, while other insulation types, like cotton batts, don’t; however, batts fail to effectively seal the wall cavity from air transfer. 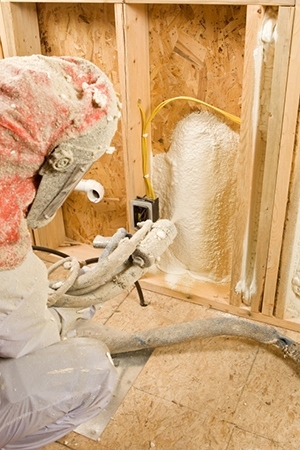 It’s difficult for installers to completely fill a wall cavity with a closed-cell spray foam product. However, open-cell spray foam completely fills the wall, working its way over plumbing pipes, electrical wires and so forth. Various types of insulation have significant disadvantages. When it comes to your home comfort, you deserve the best. Work with a trusted professional to assess your home’s existing insulation and uncover areas where it needs additional protection from the cold. Then, choose the best insulation product for your home based on quality, performance, durability and safety. With insulation lining the walls, you and your family will be able to confidently enjoy the winter season, without bundling up in layers and blankets to stay warm. As Halloween and the rest of the holidays approach, don’t let the festivities consume you. Focus on activities you can do to prep your home for cooler weather. Anita Alvarez covers home improvement, small business, marketing and other topics as a regular contributor to national publications and brands like Popular Mechanics, Angie’s List, Murphy Oil Soap, Green Living Ideas and USA Insulation. In addition, her experience includes writing business stories for The Content Standard, RichlandSource, and other publications. This post was originally published on RISMedia’s blog, Housecall. Check the blog daily for real estate info, news and trends for you and your clients. Copyright© 2015 RISMedia, The Leader in Real Estate Information Systems and Real Estate News. All Rights Reserved. This material may not be republished without permission.